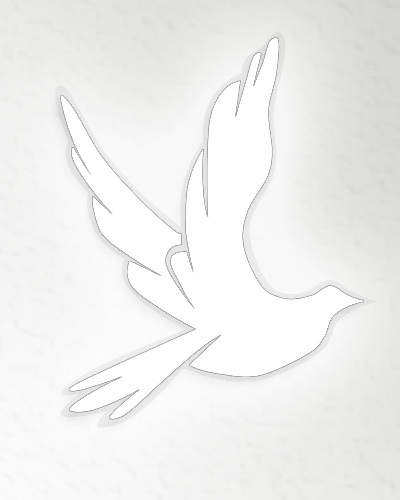 Obituary for Elva Claudine (Knicley) Obaugh | Obaugh Funeral Home, Inc.
Elva Claudine (Knicley) Obaugh, 94, of McDowell, died Saturday, March 6, 1999, at the Bridgewater Retirement Community. She was born June 25, 1904, in Augusta County, a daughter of the late Samuel Arthur and Nora Bertha (Huffman) Knicley. She was a member of the Elk Run church of the Brethren, which she joined in early childhood years. She attended McDowell United Methodist Church. Mrs. Obaugh was twice married. Her first husband was Charles T. Simmons of Head Waters, who died November 7, 1953, her second husband was Roy G. Obaugh, who died October 26, 1966. She is survived by a brother, Virgil J. Knicely of Belleview, Fla.; a stepdaughter-in-law, Wilma Obaugh of McDowell; three step-grandsons, G.W., Brent and Kyle and his wife, Karla, all of McDowell; step-granddaughter, Donna and her husband, Forrest T. Ashby of Staunton; ten step-great-grandchildren; and a number of nieces and nephews and cousins. A funeral service will be conducted at 11 a.m. Tuesday, March 9, 1999, at Obaugh Funeral Home by the Rev. Carl Zigler. Burial will be in the Head Waters Cemetery. Active pallbearers will be G.W., Brent, Kyle Obaugh, James H. Armstrong, Larry Armstrong and Rudolph Siron. Friends may call at Obaugh Funeral Home in McDowell. Memorial contributions may be made to the Highland County Rescue Squad, PO Box 268, Monterey, Va. 24465; McDowell United Methodist Church, McDowell, Va. 24458; or the Highland Medical Center, Monterey, Va. 24465.